The NEW HE range of water softeners from Monarch Water feature the innovative NEW Hi-Flow Rapid-Fit bypass as standard. 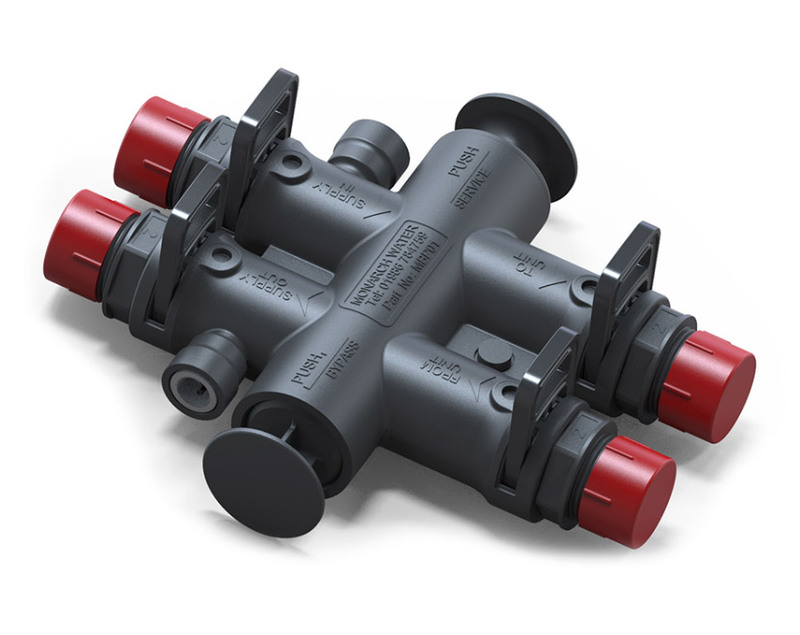 This new bypass is available for 15mm, 22mm and 28mm supplies the Rapid-Fit also has 3/8” connections for both hard and soft water tee points. The Rapid-Fit also features a 1” high flow check valve built into the body to comply with WRAS guidelines, giving an impressive flow rate of 80 lpm.